The nursery is coming along! Now that we have our shelves stocked, it was time to move onto the wall above the crib. My plan was to create a nursery gallery wall with a mix of artwork and photos. Enter Framebridge. I used their site to print and frame my pieces. I am not kidding. I seriously loved using them. It was just so easy. I didn't have to mess with printing or sizing anything. And I didn't have to search all over town to find the right frames. To put the gallery wall together the easy way, I followed the same process I did in this how to do a gallery wall post. The full tutorial is also below. Please note that I don't recommend stuffed animals and blankets in the crib with an infant. This was done merely for styling purposes. They were too cute to leave out! 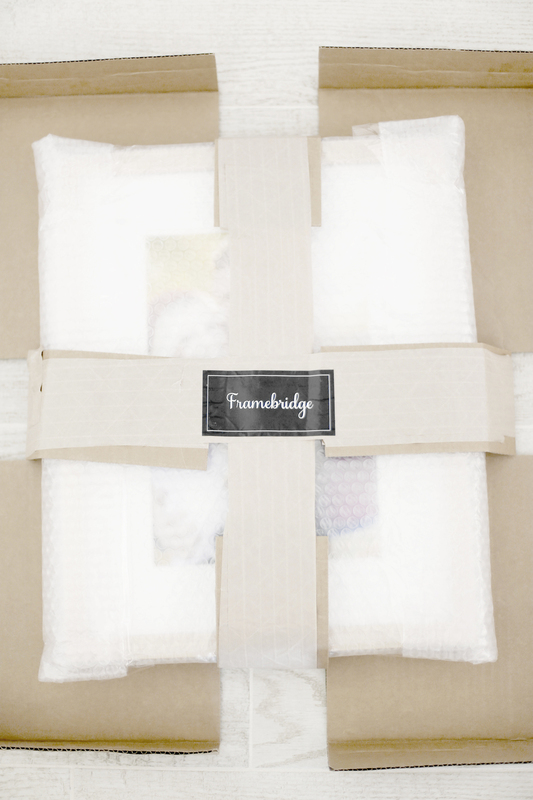 Order your artwork on Framebridge using the print + frame option. It will come in the mail packaged like this. Mark the top center of the mounting wire onto your paper for each of your frames. Use the hardware that comes free with your frames. Hang up your frame to make sure it's in the right spot. Tear off your paper. Trace the perimeter of each of your frames onto your roll of paper. Cut out to the size of each of your frames. Place the paper on the wall where you want the frames. Mount the hardware right through the paper where you made your mark. Adjust your frames so that they are straight and level. 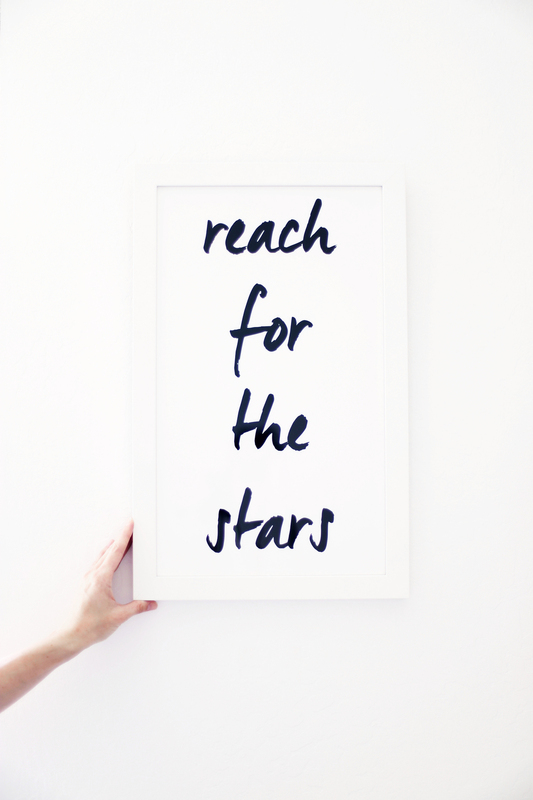 Hope you enjoy the free printable nursery art I designed! The ultrasound photo BTW is by Red Poppy Photo. Isn't she amazing?! Just click the links in "supplies" above to download the free nursery prints. I'm trying to think of some other free nursery printables I can do for you guys? Let me know if you have any suggestions. 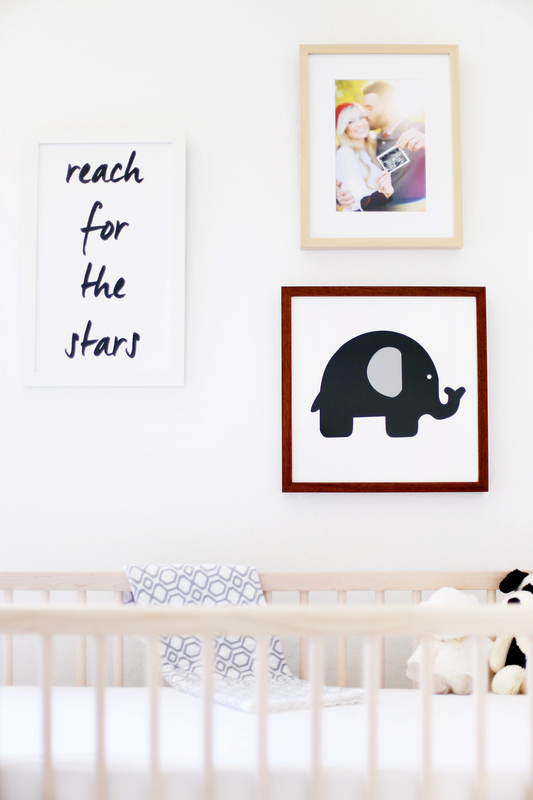 This DIY gallery wall was one of my favorite things to do so far for the nursery because there are so many fun nursery art ideas out there. I literally walk into the nursery about three times a day. I just stare thinking about how excited I am to meet TBD. I love this picture so much because it makes me think of these moments and the anticipation I feel! I plan on doing some other DIY nursery decor, so stay tuned for those tutorials. I can't wait to show you. 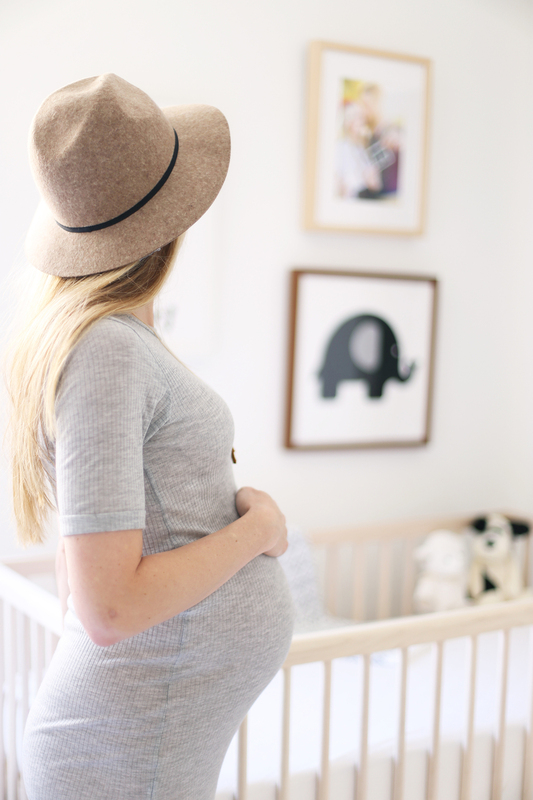 If you are preggers and taking a babymoon, you might be interested in my post about what to wear on your babymoon. And if you're interested, here are some DIY marble and wood blocks I made for the nursery. This is a sponsored post. Kristi Murphy has received product, trade, and/or payment in exchange for promoting. Thank you SO MUCH for supporting my blog! I hope you like these DIY nursery ideas! Let me know your thoughts in the comments below. If you find this post helpful, I would love it if you subscribe below! Subscribers get an exclusive DIY every week and a free party printable collection just for signing up!